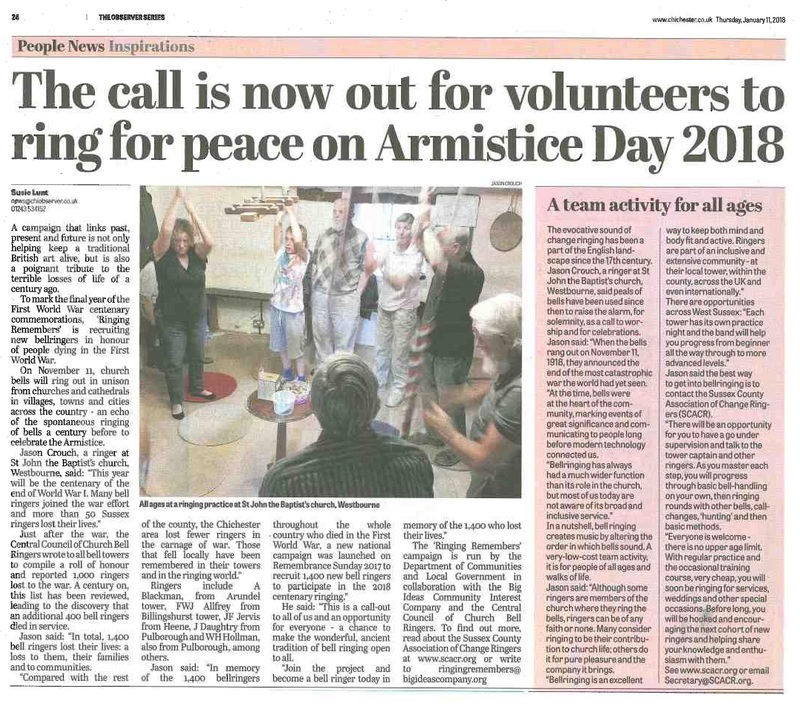 Want to see how you can successfully get your Ringing Remembers or other campaign into your local press? Jason has provided all the component parts separately and details of the correspondence with the editor and tips for other Associations to use in the template folder (Link Below). So if you wanted to use this as a template for your story – replacing the “Local” elements , then you can! Hope this is helpful to you, and if not, at least makes a very interesting read!